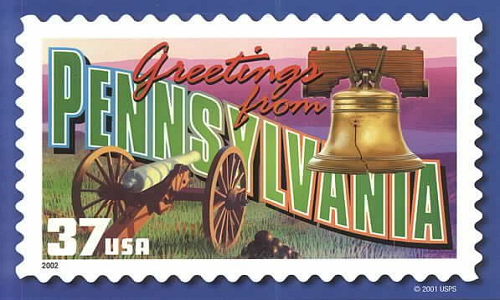 Pennsylvania remains in a holding pattern regarding its possible legalization of online gambling, after a balanced but non-finalized budget bailout package was passed by the state’s legislature late last week and moved on to the office of PA Governor Tom Wolf for final consideration. Not present within that budget: The House-passed language that would have legalized various forms of online gambling, including online poker. However, there’s a placeholder within this last-minute bailout as passed by the Pennsylvania Senate. In order to finally balance the state’s plans for the 2016-17 fiscal year, the state needed to find an extra $1.3 billion in new revenue sources. So-called “sin taxes” feature heavily within that $1.3 billion makeup, including an expensive dollar-per-pack tax hike on cigarettes, a new (and sure to be unpopular) tax on Internet downloads, and even a $200 million loan from Pennsylvania’s hefty medical-malpractice fund. Yet new monies coming from gambling are in there, too. An empty spot in that $1.3 billion budget patch is to be filled by $100 million derived from state-regulated gambling activity, and that’s over and above that which already exists. That hole is designed to be filled by online-gambling legislation, once it’s approved, and even though a tax hike on revenue from the state’s licensed land-based casinos was also under consideration. Yet politicians in both Pennsylvania’s House and Senate emphasize that legalized online gambling is the intended plug. And that approval, according to several Pennsylvania news outlets, is supposed to occur when the state’s legislature reconvenes for its fall session. Assuming that Pennsylvania does indeed approve and regulate online gambling, the state would become the fourth such US state where the activity is legalized. Real-money gaming is unlikely to go live before mid- to late-2017, even under the most optimistic scenarios. Yet how the budget was passed, with the online gambling provisions both in and out of the bill, is a curious tale. Readers likely remember the exuberance that greeted the passage a few weeks ago of Pennsylvania State Rep. John Payne’s online-gambling measure, having been reframed as a budget amendment. The Senate’s version of the budget amendment was delayed for reasons not wholly explained. However, in commenting on the online-gambling inclusion, Sen. Pat Browne, R-Lehigh, chairman of the PA Senate Appropriations Committee, indicated that the matter will be addressed in September, even if some changes are planned to Payne’s original House amendment. It’s also worth mentioning that despite Browne’s generally positive comments about the eventual passage of the online bill, anti-expansion forces are still lobbying heavily in the state. That specifically includes Sheldon Adelson and his Las Vegas Sands Corporation, who remain rabidly against the online-gambling expansion. Adelson’s Sands Bethlehem casino sits just a few miles outside Browne’s Lehigh Valley senatorial district, and Adelson and LV Sands have already lobbied heavily among other east-central Pennsylvania politicians. In other words, expect more Adelson-money pressure to be exerted in Pennsylvania in the next couple of months. Further, the conservative Lehigh Valley region has had its own headline-making, bad news brush with online poker. A decade ago, Sen. Browne’s hometown area had to deal with the bizarre case of Greg Hogan Jr. Hogan was a class president at Lehigh University, and, unfortunately, an addicted gambler who lost thousands of dollars playing online poker at multiple sites. Worse, Hogan’s ethos was seemingly twisted by the bible-thumping orations of his Baptist-minister father, to the point that Hogan found himself unable to continue to seek his father’s help regarding his gambling addiction, and instead robbed a Lehigh bank of about $2,700 in a futile attempt to obtain money to support his habit and pay other gambling debts. With that episode in the area’s past, Sen. Browne probably can’t be seen as being too enthusiastic about the online-gambling expansion in Pennsylvania, this despite the problem-gambling controls that are now de rigueur in the other US states and international jurisdictions now regulating the game. With all these factors in play, a September legalization may well not be quite the slam dunk its proponents claim it to be.